Keep your blood pressure below 120 not 140: The SPRINT study will change medicine. This study will change the way we practice medicine. Doctors have long wondered what the magic blood pressure number is for people at risk for heart attacks and strokes. It’s easy to get confused by the overly dramatic daily news about health and medicine. One day coffee is great for you, the next day it interferes with sleep and leads to illness. One day the plague is back, the next day it’s Ebola or West Nile virus that’s capturing attention. Health care stories ebb and flow as seen through the skewed eye of TV news. But every now and then, a story comes along that literally changes the way I and other doctors practice medicine. It is difficult to overstate the importance of such a story. One of the clues that we are in the medical research big leagues is when a study is stopped early for dramatic, clear findings. That’s what occurred this past week with the National Institutes of Health–sponsored Systolic Blood Pressure Intervention Trial, or SPRINT. Another clue is when the study is prospective (studying patient outcomes looking forward rather than looking backward at past behavior), successfully divides participants into two distinct groups, and provides an important answer to a lifesaving health question. In this case the question is: What is a healthy blood pressure goal? Doctors and their patients have long wondered what the magic number is for people at risk for heart attacks and strokes. Convention as well as guidelines have always been to keep a patient’s blood pressure below 140 millimeters of mercury systolic. * By systolic I mean that first jet of blood pressure that shoots into the elastic arteries when the heart pumps; it’s the first number given of a pair when blood pressure is measured. The diastolic blood pressure, or the lower number, is a measurement of the pressure left in the arteries when the heart rests. One-third of all Americans suffer from high blood pressure, and everyone has a loved one with high blood pressure, so this concern is relevant to the entire country. Just half of those who are diagnosed with high blood pressure have it under control. Now we are redefining what “under control” means. The SPRINT study looked at more than 9,000 patients in 30 medical centers around the country from 2010 to 2013. When blood pressure was lowered to below 120 systolic as opposed to 140 systolic, there was a 30 percent decrease in heart failure, heart attacks, and strokes as well as a 25 percent decrease in death. The study included the elderly, with an average age of 68. Fortunately, even with aggressive blood pressure management, side effects did not increase. 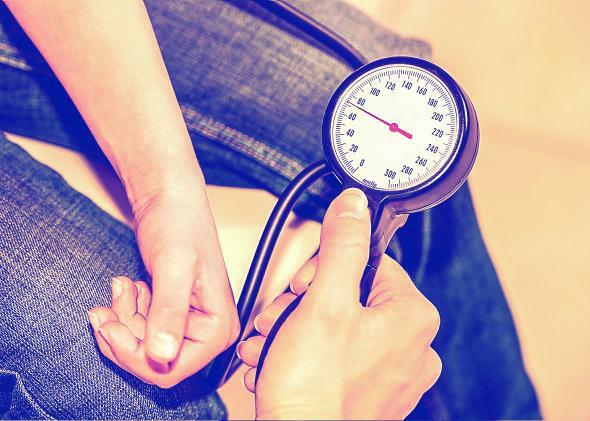 In my experience, fear of side effects such as dizziness, impotence, and fatigue keep many high blood pressure sufferers from maximizing their treatment options. Targeted diet, exercise, and weight loss are good first-line approaches, but many people require medication as well. Now that I know there is a dramatic difference between a systolic blood pressure of 140 and 120 in those I treat, I will be much more proactive in trying to persuade my patients to target the lower number. A single study will change the way I practice medicine, with guidelines from the American Heart Association and the National Institutes of Health soon to follow. That’s a pretty good day for a new health report in the media. It’s also a solid reminder to me and other medical reporters not to hype the next diet or vitamin study. When a medical home run like this one comes along, I want to be taken seriously when I get excited.